Found 4 file extension associations related to CLwin and 4 file formats developed specifically for use with CLwin. CLwin is modeling utility used to design air condition systems and ventilation systems in buildings. Estimated thermal loads affecting a building and determines the characteristics of air conditioning equipment: Cooling, heating power, airflow, ventilation, parameters of the batteries, etc ... 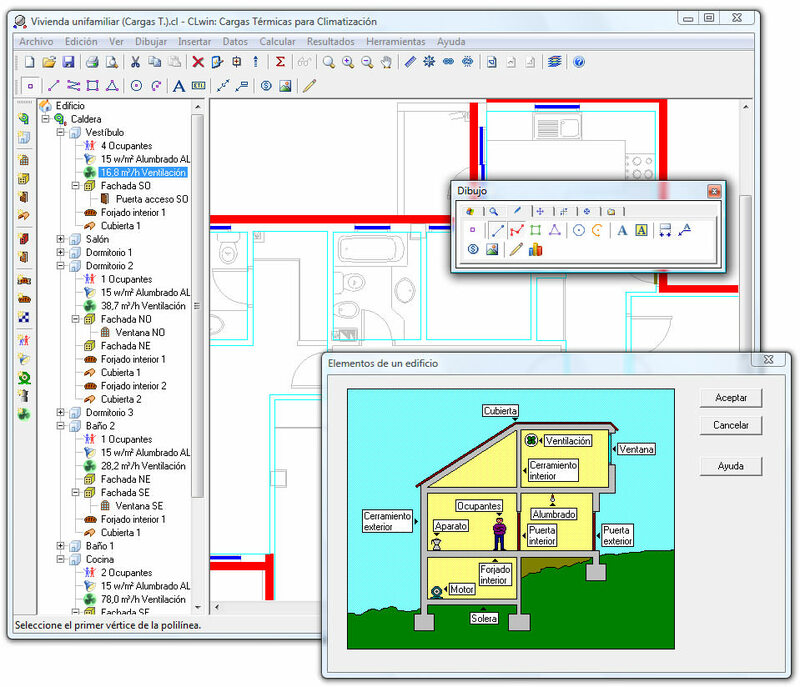 The calculation methodology is based on ASHRAE transfer functions. CLwin is distributed in Spanish. If you need more information please contact the developers of CLwin (Procedimientos-Uno, S.L. ), or check out their product website.